Tuesday evening saw Ipswich travel to Colchester for the first leg of the Eastern League cup final. Ipswich began the evening with a 1-0 handicap lead due to final league standings from last season. Colchester came out of the gates fast and were able to put Ipswich under immediate pressure, winning possession from Ipswich on several occasions and scoring 2 early goals. Ipswich took a while to warm to the contest but regained the lead with 2 goals in the last couple of minutes to make the first quarter end 3-2. Ipswich started the second quarter far better than the first and the match became very even, with both teams cancelling each other out at times and scoring twice each to make the score 5-4 Ipswich at half time. The third quarter saw Ipswich take a much greater control of the match, defending solidly and attacking with pace and power. 4 Ipswich goals with only 1 conceded made it 9-5 going into the final period. Colchester began the final quarter quickly and aimed to put Ipswich under pressure to close the gap. A fantastic defensive effort kept the match tight and made it difficult for Colchester to get back into the game. After turning over possession on multiple occasions, Ipswich could control the ball and create opportunities of their own to kill the game off. With great effort from everyone right to the end, Ipswich came out on top, winning 12-8. This means Ipswich take a 4 goal advantage into the second leg of the tie which will be at RHS. Great performance by everyone involved and another massive win! Defensively solid throughout and powerful in attack to secure a great result! All eyes on the second leg now!! Sunday night saw Ipswich travel to Norwich hoping for a win which would take them through to the Eastern League cup final. The match started off evenly, with both teams creating some chances. Ipswich opened the scoring but Norwich came back into it and replied quickly, utilising their large pit attacker well. The first quarter finished 4-3 Norwich. An early Norwich goal in the second quarter increased the home sides lead, but Ipswich were growing into the match and started using the ball better in attack, scoring 3 times without conceding to get right back into the game. Half time score of 7-7, with the match finely poised for the second half. The third quarter was dominated by Ipswich, who had worked out how to neutralise the threat from Norwich and were playing well. This extended the lead out to 10-8 at the end of the third quarter. In the final period, the home side began to slow down and found it very difficult to put Ipswich under enough pressure to get back into the match. Ipswich were able to control the game, using possession wisely and making it count, scoring 6 while only conceding once. Great performance by everyone and a well deserved win against potentially tricky opposition! Defended well throughout and managed the game perfectly in the second half to secure a massive result! A young 8 man Ipswich team travelled to Colchester on Tuesday night for a Senior friendly as a warm up for the winter league season. Ipswich started the game well and opened the match scoring 3 goals without conceding in a dominant first quarter display. The second quarter began as the first finished, with Ipswich scoring first after a man up. Colchester were able to find their feet though and responded in created more chances meaning the score at half time was 7-3 Ipswich. The third quarter was closely contested but Ipswich managed to keep a clean sheet with a fantastic organised pressing defence and were able to score a further 2 goals making it 9-3 going into the last quarter. Colchester began the final period with nothing to lose and immediately started attacking, allowing them to close the gap to within 4 goals with 4 minutes remaining. Ipswich were able to control the final stages of the match though, using the 30 seconds of possession well and pressing the opposition so they couldn’t create opportunities. A couple of late Ipswich goals secured the win. Final score 13-8 Ipswich. A great performance from everyone in a very young senior team, showing great composure and solidity throughout. A promising start to the winter season with further additions to be made to the squad! Friday night saw Ipswich take on a strong Norwich team at RHS. Ipswich started off the match well and we’re unlucky to go a goal down in the early stages. A couple of very well worked man up attacks from Ipswich evened up the game and allowed Ipswich to advance onto a lead of 4-2 at the end of the quarter. The second period saw the Norwich team become more competitive meaning any goals scored in the quarter were cancelled out by the opposition. 8-6 at half time. The third quarter was again very closely contested with both teams attacking well. 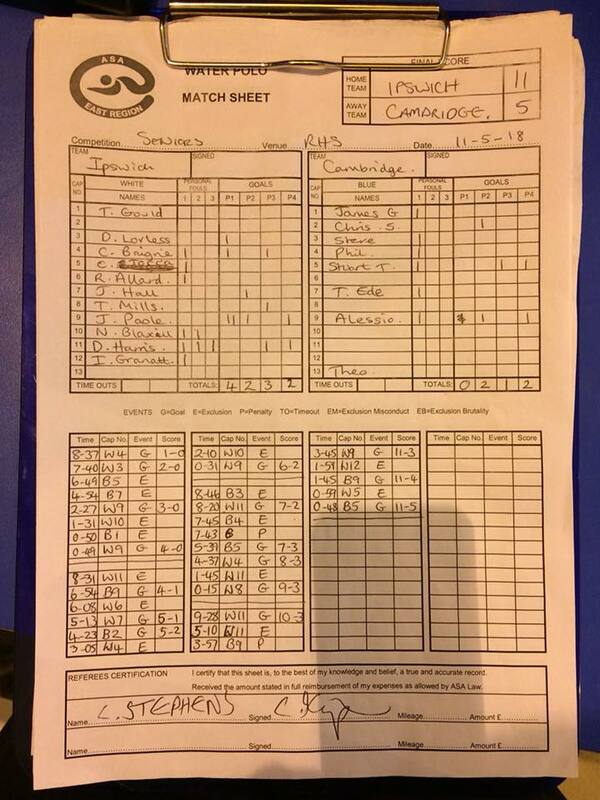 Ipswich were however more clinical with their opportunities and finished the quarter leading 11-8. The final quarter became a far more dominant display from Ipswich. A good use of the Ipswich subs and a tiring opposition meant that the game was seen out comfortably. Final score 18-9. Overall a very good performance from everyone involved. Strong and organised defending for the most part and a clinical edge to the attacking was great. Also a fantastic man-up conversion rate for the match which is something we’ve struggled with in the past. Fantastic game management in the latter stages as well to control the game with the ball in our possession and then use it effectively. Friday night saw another young Ipswich squad take on difficult opposition in Cambridge. Ipswich started the first quarter very positively by defending strongly and attacking well in static and counter situations. This allowed Ipswich to draw out a 4-0 lead. The second quarter was more even with Ipswich dropping their intensity and Cambridge coming back into the game more making the scores 6-2 at half time. In the third quarter Ipswich took control of the game again and restored a similar level of dominance from the first quarter, defending solidly as a team and then counter attacking with pace and power. 9-3 at the end of the third quarter. In the last quarter Ipswich were in full control and were able to see out the match in a comfortable fashion, winning 11-5. Overall a very good team performance against potentially tricky opposition. Another great outing for our developing young seniors as well who are gaining more experience with each match. What a great win it was. With only 8 players and NO goalkeeper we stormed to a fully deserved 15-10 win against a very large Chelmsford side who had a full squad of players. We trailed 4-3 at the end of the 1st quarter but finished the 2nd quarter leading by a goal and then never looked back, and finished the game comfortable winners. Josh H, Joel, Nathan & Dan L all did a quarter in goal and made some great saves as well as all having very good games on pitch and all contributed with a goal or 2. Meg & Poppy were excellent both in attack and defense, with Meg getting her name on the score sheet and both showed great skill and determination throughout the match. Dan Harris was dare I say it.... a bit awesome. Gave us a platform to build on by scoring the first few goals and then sat in defense and ran the game through his reading of the game and his strength, as well as organising the rest of them in the water. Joshua M played very well in a game 2 years above his age group and maybe scored the goal of the game with an audacious lob from the wing with fell perfectly inside the far post giving the East region U16 keeper no chance. Special mention to Thomas Mills and Jon Mayall who did a great job in coaching the team together for the first time and they always gave the team plenty of encouragement to drive them to this performance and win. Another fabulous match with a result to suit. Another fine season for Ipswich Water Polo with league positions as follows. Here's the most recent match report from Phil Trett showing an Ipswich win against Chelmsford 7-14. The match was on 7th January 2016 as saw an Ipswich loss 22-3. With a 9-1 win over the hosts and a great 6-2 win over Cambridge University, Ipswich just lost out to the Army 4-2 in a tight deciding game. 8 goals a piece from Ipswich's Brad Watts and captain Tom Ealham shared the trophy for the tournament top goal scorer. 2015 Summer League - Seniors 2nd place overall! Good tournament last night, with only 7 players we made it all the way to the finals winning all of our games !! and only just lost out by a goal in the final to Spalding. A very encouraging team performance. A mini match report from Tuesday's senior match, and we're celebrating another Ipswich win! Well played to Gould, Tween and Blaxill. A stunning result. Ipswich U18 team fought a hard battle last night at Basildon but left the game victors. Ipswich didn't look in top form but Basildon strength across their side were forcing Ipswich to work hard for every goal. Eventually we ground down the opposition goal by goal after only leading 0-1 in the first quarter. Some spells of magnificence interspersed with poor passing and The saving grace was our defending was superb saving our turnovers in attack becoming conceded goals in defence. Great work in the end. Well done to the guys who showed Ipswich dominance at this age group is fully justified and well deserved. Great win for the U18's last night when they ran out convincing winners 27-4 against Colchester in a show of supreme strength, teamwork and technical ability. With only 9 players with 2 of those being U14 and 1 U13 a lot depended on the 6 older players to produce commanding performances and boy did they. Tom Gould was up to his normal excellent standards and even managed to play on pitch in the 4th quarter and bag himself a goal. Connor was outstanding in defence and did not let anything past him all night, got himself a goal and should now make the move into the senior squad. Thomas and Fin controlled the middle of the pool with great authority and covered every area of the pitch in both their attacking and defending duties and rightly both got goals which their performances deserved. Fin even went in goal for the last quarter but was beaten a a great back flip, shame it was from Connor though!! James and Brad ran riot in attack and bagged a total of 20 goals between them. The Colchester defenders just could not handle their power and pace and it was a joy to watch these 2 players in such great form. A special mention must go to the 3 'junior' players who made up the remainder of the team. Joel, Liam and Joshua M. were all brilliant and did not once look out of place playing at this level. All 3 did exactly what was asked of them with Joshua getting his name on the score sheet when following up a shot that had come back off the bar. All 3 should be very proud of their performances and contribution to the overall team performance and result. 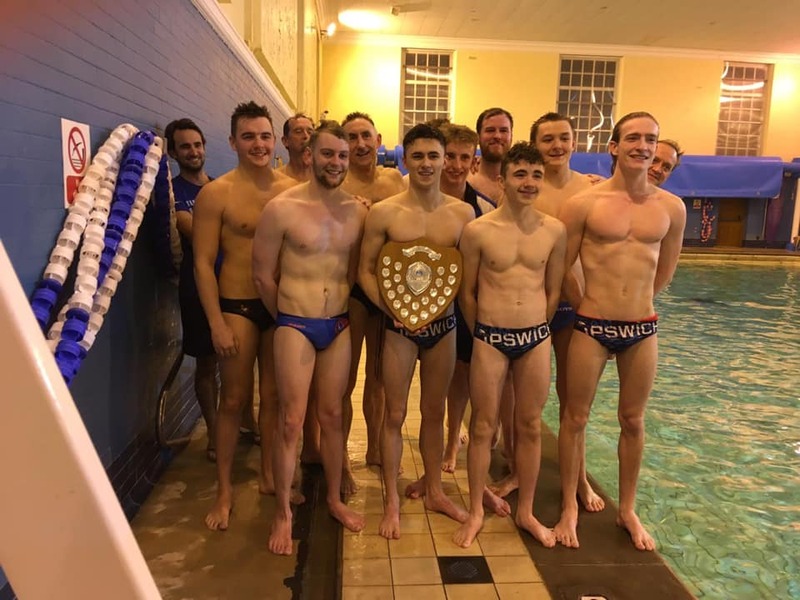 TeamIpswich Water Polo entered the Biggleswade tournament with the participating teams HERTFORD, HITCHIN, SPALDING, NORWICH, DUNSTABLE, NORTHAMPTON + BIGGLESWADE. In the first game against hosts Biggleswade Ipswich secured a comfortable 5 – 2 win with goals from Captain Phil Trett, James Poole and Tom Ealham. The game saw a solid performance from the promising Ipswich teenager, Thomas Mills who earned his first senior cap playing alongside his Father Clive Mills. 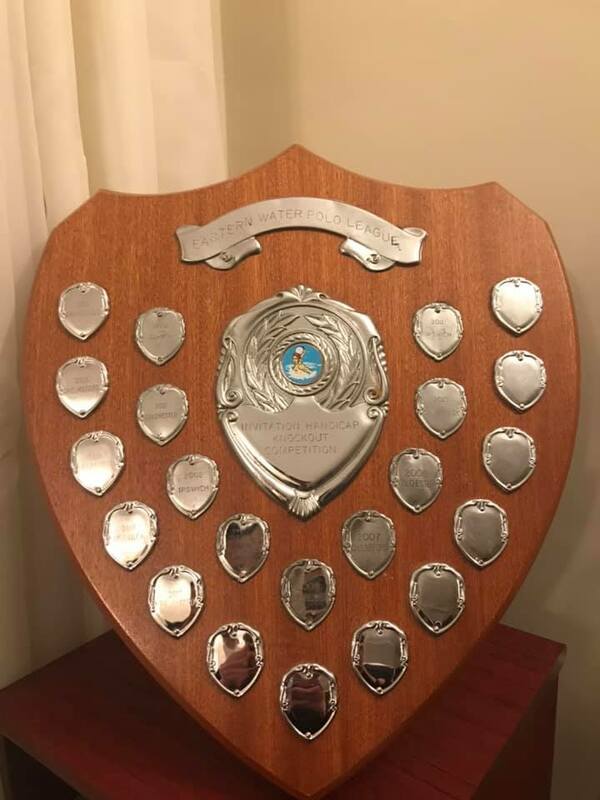 Against Hertford a Tom Ealham penalty secured a 1-1 draw and in the last group stage game against Norwich, the physical nature of the game saw a player from each team being sent out with the referee having to remind both teams that this was a “friendly” tournament. A James Poole goal was not enough to stem a strong Norwich team who came out 4-1 winners. With Biggleswade winning against Norwich, and Hertford winning against Biggleswade the group was very close but Ipswich’s superior goal difference saw them through to the semi finals. Ipswich’s semi final was against group winners Dunstable. A sling shot from Tom Ealham rattled both posts before crossing the goal line then a drive from Tom Young earned a penalty which Ipswich converted for a two goal lead going into the second half. Dunstable upped the pace and scored an early goal but stout defence from George Bartle stemmed the Dunstable pressure and Ipswich came out 2-1 winners. With Norwich winning the other semi final the scene was set for an Ipswich-Norwich final. Ipswich absorbed much of the Norwich pressure and looked promising on the counter attacks but unable to take advantage of the opportunities, lead to Norwich seeing the game out with a 2-0 win. However with many Ipswich key player missing this was a very pleasing performance.